Home - Andy Esquivel's Scams - Former Xtreme Sushi employee speaks!!! Former Xtreme Sushi employee speaks!!! 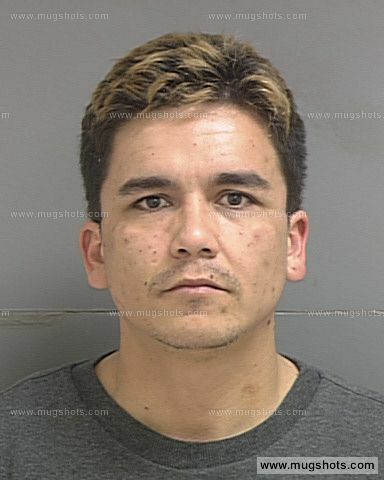 Most of you know that Andy Esquivel is a worthless scumbag who sleeps with under-aged girls and refuses to pay child support for his children, but what you probably didn’t know is that Andy also takes advantage of high school kids to make money! Following is a first-hand account form one of Andy’s former employees who was only in high school when Andy used him for cheap labor at his Xtreme Sushi shop and never paid for his work. The testimony you are about to read has been forwarded to Davis County prosecutors to help illustrate the lengths to which Andy Esquivel will go to further his various scams and to make a buck. John Steer, Andy’s low-life cousin, is also implicated in this scheme to defraud a young man with little experience in the ways of the world because he stood by and watched Andy extort work form this high school junior in the furtherance of Andy’s schemes. When I was a junior in high school there was a restaurant called Xtreme Sushi in Bountiful Utah. I was attending Bountiful High school and was in need of a job, so one day I wandered into Xtreme Sushi and applied. The person who took my application and interviewed me was a man named Andy Esquivel. Andy gave me the application and I basically got the job on the spot – quick and simple. After a couple days Andy started ranting to me about “Xtagged”. He said it was a website worth millions and billions of dollars and that it would make us all rich. This was around the same time that Twitter was invented and it’s funny because he would always say that twitter was nothing compared to Xtagged and if they could get so popular and be worth so much money then that means Xtagged is going to be worth way more! I went on working for Andy at Xtreme Sushi for $6.50 an hour as the time passed and passed without me getting a pay check. I think it was two months before I got my first check , and I do not recall the amount of money I was finally paid. That first amount doesn’t really matter though because after that first two months, I never did see another dollar – nothing in the next four months that I worked for him. Paychecks were not what I would call a ‘usually thing’ at all while working for Andy – in fact they did not really exist. I went on for so long with out receiving money because every day without fail Andy would talk to me about Xtagged and he would say that he was giving me 1,000 shares of stock in the company. He promised that when the site took off, I would be able to sell my stock for “millions of dollars”. This didn’t get rid of my desire and right to be paid for my labor, but I trusted Andy because everything he said seemed to be in my favor. He always seemed to care about my well being (or so I thought). I trusted in Andy because he was such a good liar. I feel stupid for believing Andy for 6 months with out receiving almost anything. I was a kid in high school so I was very gullible. Andy saw that gullibility in me and he decided to take advantage of it. Though I did not ever complain for about not being paid, I made sure to keep track of every hour that I worked in hopes of being paid for my labor someday. After all, that is what Andy told me to do because he always promised that soon I would receive my check. One day I went to work and when I showed up at the restaurant I realized that the doors were locked and it was dark inside. A lot of thing things were missing from in the restaurant. I am not sure who removed everything, but I’m certain it was Andy. It looked like he just ran away, which I finally learned is exactly what happened. In the end he just packed up and ran away without paying me another dime and with out even saying a word. I’ve calculated that Andy owes me 89.9 hours worth of labor at $6.50 and hour, which totals up to $584.35. John Steer would be able to confirm this, because he was there while I worked all those hours. I don’t ever expect to get paid and I’ve learned my lesson about who to trust and who to avoid. Andy is definitely a person to avoid at all costs. I hope he finally gets what’s coming to him in this trial. What kind of Christian takes advantage of young kids working their way through high school? What kind of person sits back and watches while a scam artist like Andy Esquivel extorts money from children? The answer is simple – Andy Esquivel is no Christian and John Steer is no human being. Both men are leaches and one day Karma will catch up to both of them for what they’ve done. I’d like to thank Dakota for his courage in sharing this story. None of us likes to be conned and it’s hard to admit when it happens, but at least we can alert the world and save others from making the same mistakes. Andy Esquivel and John Steer are a collective mistake – period! Wherever they are, they should be reminded of the people they’ve hurt and the trail of lies they’ve left behind. One day soon it will catch up to both of them, and those of us who believe in justice will be there waiting and cheering. Dakota, I feel for you. Unfortunately you are not alone. Andy is a scum bag who deserves EVERYTHING that is coming to him.